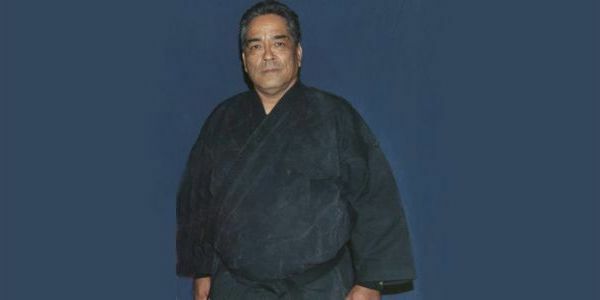 Professor Dr. Samuel Joseph Lonewolf was Judan Chief Instructor and Founder of Dai Ik Koku Koryu Kenpo Karate Kobujutsu. Samuel Joseph Lonewolf was a Native American Grandmaster. He was a 7th degree black belt with Al Tracy’s style of Kenpo and Goshin-Ryu Jujitsu. He also held a 10th degree under John Chow-Hoon and Prof. Thomas S.D. Young in Hawaii Kempo Goshin-Jitsu. 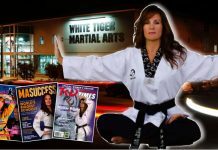 With 47 years of martial experience, Lonewolf owned schools in Palestine, Texas, Puerto Rico and South Dakota. Included in his lineage are his 35 black belts. Samuel Lonewolf was born during the Wani Weti Wi, the moon of winter, on November 28, 1949. As a small child he was very sickly and his father determined that martial arts would help his son recover physically. His father taught him Goshin Jitsu, which his father learned from Sgt. John Chow Hoon, brother of William Kwai Sun Chow Hoon (founder of the Chinese Kara Ho Kempo System). Lone Wolf’s father studied at Schoefield Barracks in Honolulu, Hawaii. His father was an M.P. at the base. 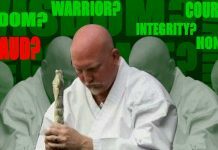 After meeting Keith See, Lonewolf began stydying KSDI – Kajukenbo with him. Lonewolf also trained with Professor Thomas Young in Hawaii Kosho Kenpo Ryu Jiu Jitsu. Another of Lone Wolf’s instructors was Shodai Soke Michael De Pasquale, Sr., who taught him Yoshitsume Waza of Hakko Ryu Jiu Jitsu. Lone Wolf earned a Fifth Dan in Hakko Ryu Jiu Jitsu. 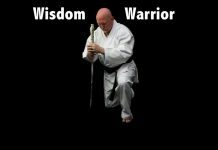 Lonewolf studied Karate (Goju Ryu) under several Grand Masters including Aaron Banks, Ronnie Van Clief, Owen Watson, Ron Taganashi, Louie Delgado, Peter Urban and other great pioneers of Goju Ryu in America. Dr. Samuel J. Lonewolf was awarded his 10 Dan in Shorei Goju by Headmaster Douglas Dwyer, and Okinawan Goshin Ryu Karate by Grand Master Dr. Juan Otera and the Hawaiian Martial Arts International Society. Dr. Lone Wolf prefered to be called Sensei and answer to the rank of Hachi Dan (8th) Kun obi. Dr. Lone Wolf passed away at Mother Mary Francis Hospital in Tyler TX this 10 Day of January Year of the Black Dragon. The family has asked that in lieu of flowers, donations be made to the American Diabetes Foundation.